Gabriel (Gabby to most) and his father Dean sought out the best treatment available. So Gabby and Dean packed their bags and left their home in upstate, rural Montana and headed to Seattle Children’s Hospital. The transition added a huge emotional and financial burden. Dean, a widower, took a leave of absence from his job to be by Gabby’s side during the grueling months of treatment. The two lived at Ronald McDonald House in Seattle while Gabby fought. As the medical bills and travel expenses accumulated, they began to worry they would be unable to keep their home in Montana. Family and friends generously put together a fundraiser to help with future mortgage payments, but they needed help immediately. Gabby’s social worker was able to connect with Family Reach and share their story. 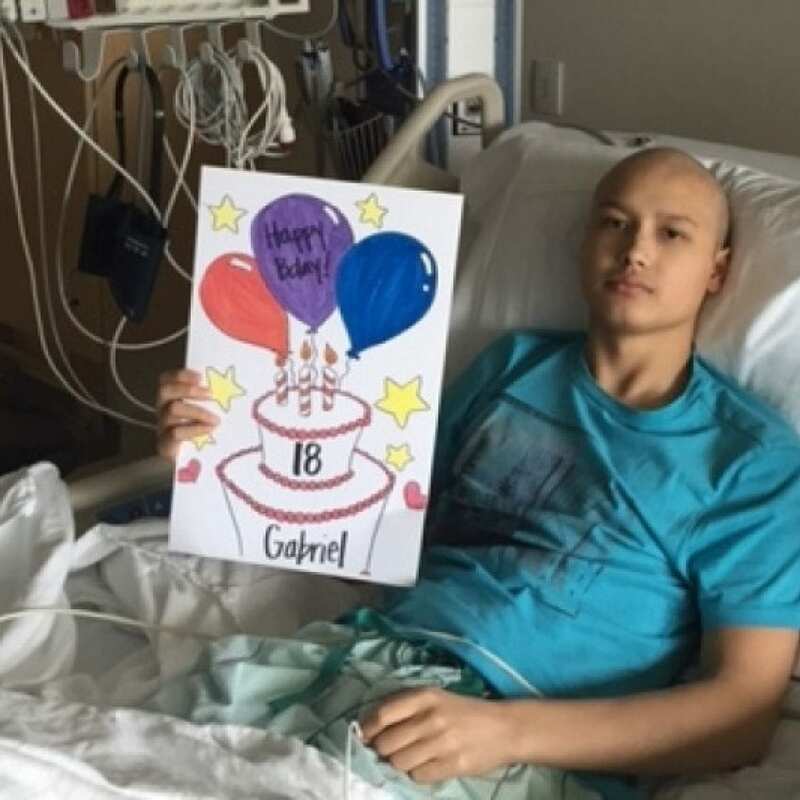 Gabby celebrating his eighteenth birthday at Seattle Children's Hospital. A Family Reach grant quickly paid their mortgage in Montana while they resided in Seattle for cancer treatment. Dean couldn’t believe there were people across the country that cared so much about them and would offer financial assistance. He is deeply grateful they were able to keep their home and now has restored hope in their future. Gabby is now back home in Montana and has entered the maintenance phase of his treatment. He is looking forward to enjoying time at home with his father once again. Interested in helping families like Gabby’s? Click here to become a Key Holder.